Planet Woman Fitness knows how hard it is to keep your body looking and feeling the way you want it to. Self confidence comes in so many ways and while we like to help with your fitness needs in Kamloops and Merritt, sometimes you just want a good tan! 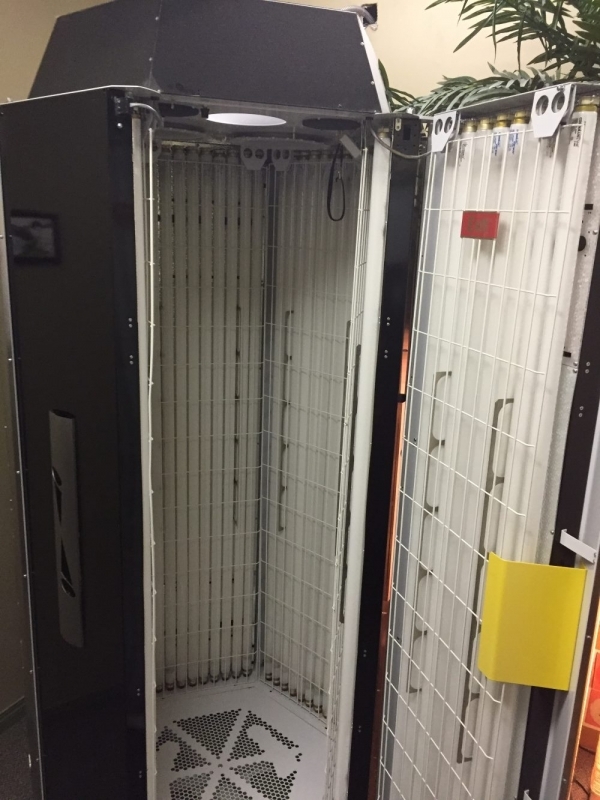 Many people don't realize that there can actualy be health benefits to indoor tanning if done properly and under the guidance of one of our many fitness experts. 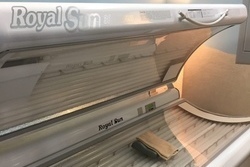 In the interest of replicating the effect of our sun as closely as possible, most indoor tanning beds emit 95% UV-A and 5% UV-B rays onto your skin. These values are very similiar to the exposure your body would receive being outside in the summer heat. It's important to remember the similarities when you're planning your tanning visits. Just like the sun, too much of a good thing can have negative affects. In moderation and with proper direction, indoor tanning can be safer and help protect you from prolonged exposure outside. When you are exposed to UV rays your body creates Vitamin D. While humans have long known the benefits of having healthy levels of Vitamin D in their system, we are still learning and discovering all of the important pieces of our biology that are impacted. Healthy levels of Vitamin D have been shown to help prevent or control depression, hypertension, fibromyalgia, seasonal affective disorder, PMS symptoms, arthritis, diabetes and osteoporosis. Of course we all know the stories of how prolonged sun exposure can lead to various cancers of the body. In moderation though, the benefits of building up your Vitamin D levels have been shown to help fight and prevent many types of cancer. Limited amounts of tanning can be beneficial in helping to fight breast, ovarian, prostate and colon cancers. Even kidney and bladder cancer can be warded off by Vitamin D. While your diet can definitely also supply Vitamin D, many people find it hard to intake enough to support their body's need. Many of the issues we've all heard about when it comes to tanning also apply to natural outdoor tanning practices. If you let your body experience too much UV light, no matter the source, issues can arise. If you carefully control your UV intake, your body can take advantage of all the positives that tanning provides. At Planet Woman, our trained expert fitness coaches and trainers can help make sure that you only get a healthy dose of UV rays in your tanning regimen so that you can experience the benefits it brings.